Well-established and flowing cursive handwriting is the most efficient script in terms of speed, which is required for class work and note-taking, as well as in examinations throughout school and tertiary education. Research has shown that students who take notes by hand have a better grasp of both factual and conceptual material and cursive handwriting is the ideal medium for this. To achieve this skill you need to have the best cursive handwriting books on our shelf. Many students revert to the use of a printed script simply because the motor maps for cursive were not sufficiently well-established and consolidated prior to them being required to use a linked script in the classroom setting. 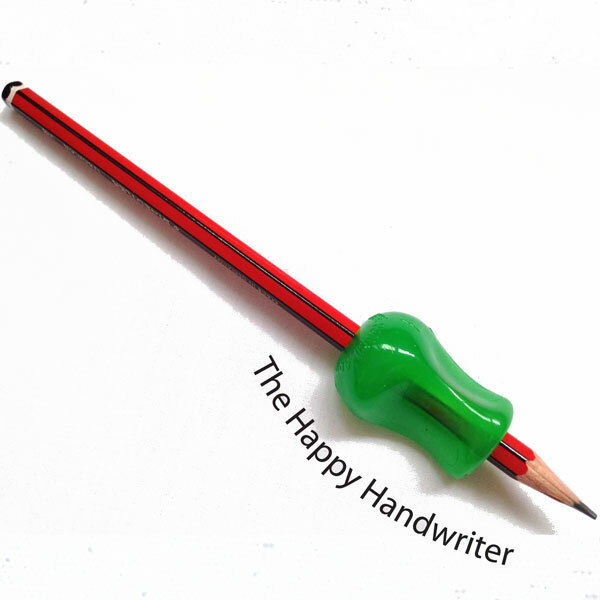 The transition from print to cursive handwriting frequently happens once the cursive letters have been mastered, with insufficient time having been allowed for consolidating link-ups, speed and flow. 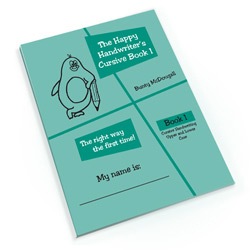 The Happy Handwriter’s® Cursive Book takes your child step but step through the process to a well-consolidated script. Beginning with establishing the visual memory of the cursive letter forms, it goes on to create opportunity to practise the letters both in the large and small formats. This allows for the opportunity to lay sound foundations for this critical skill for life. 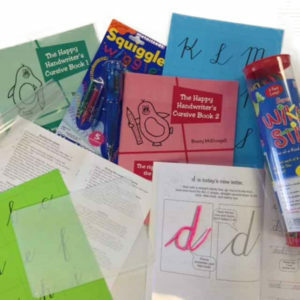 If you are serious about cursive handwriting skills for your child, do consider the multi-sensory Cursive Handwriting Bundle that will guide you and your child through this process in a tried and tested manner.